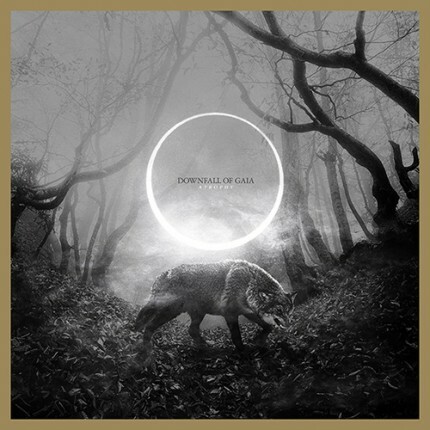 Related links to "Downfall Of Gaia - Atrophy LP"
Downfall of Gaia is a dark wall, moving forward relentlessly, enveloping the listener, absorbing one’s spirit to take one into the realm of the band’s potent sound. Founded in 2008 and having undergone several line-up changes, the quartet is now comprised of the two founding members Dominik Goncalves dos Reis (guitar and vocals) and Anton Lisovoj (bass and vocals), plus Marco Mazzola (guitar) and Michael Kadnar (drums), who are located respectively in Berlin, Hamburg, and New York City. Although the group’s roots lie within the DIY / crust scene, Downfall of Gaia has expanded their sound to incorporate elements of black, doom, and sludge metal. For their efforts, the band has earned many “album of the year” accolades – and with their upcoming release, Atrophy, they will surely earn praise from media and fans alike, once again.